Over the course of nine years Outlook Festival has grown from it’s humble beginnings as a less than 1000 person party to the world’s biggest celebration of bass music, welcoming over 14,000 music lovers the world over. 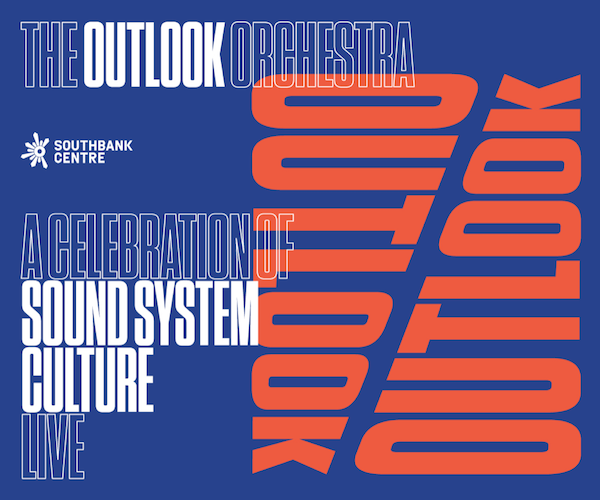 As the festival approaches its 10th anniversary, the team can announce a special project they’ve been working on behind the scenes, a collaboration with Southbank Centre on a 20-piece ‘Outlook Orchestra,’ taking place on Thursday January 12th. This ensemble will unite some of the most iconic names in soundsystem culture in a way never done before, curated by award-winning composer Tommy Evans. Outlook Festival’s intentions have always remained the same, to continuously push the boundaries of bass using sound and artists of the highest quality, and the Outlook Orchestra is the next step for this. Lead by award-winning composer Tommy Evans, the creative force behind both Submotion Orchestra, and mixed live by the legendary Adrian Sherwood, the orchestra will also be joined by some of the scene’s biggest vocalists and MCs from hip-hop, grime, reggae, garage, drum & bass and dubstep. The one off event will be held at Southbank Centre on the evening of Thursday 12th January 2017, with tickets for Southbank Centre Members and Supporters Circle available now and general sale available on Friday 28th October at 10am. There is a limited amount of tickets for this show, so please reserve your place at Outlook Festival’s first birthday celebrations now!